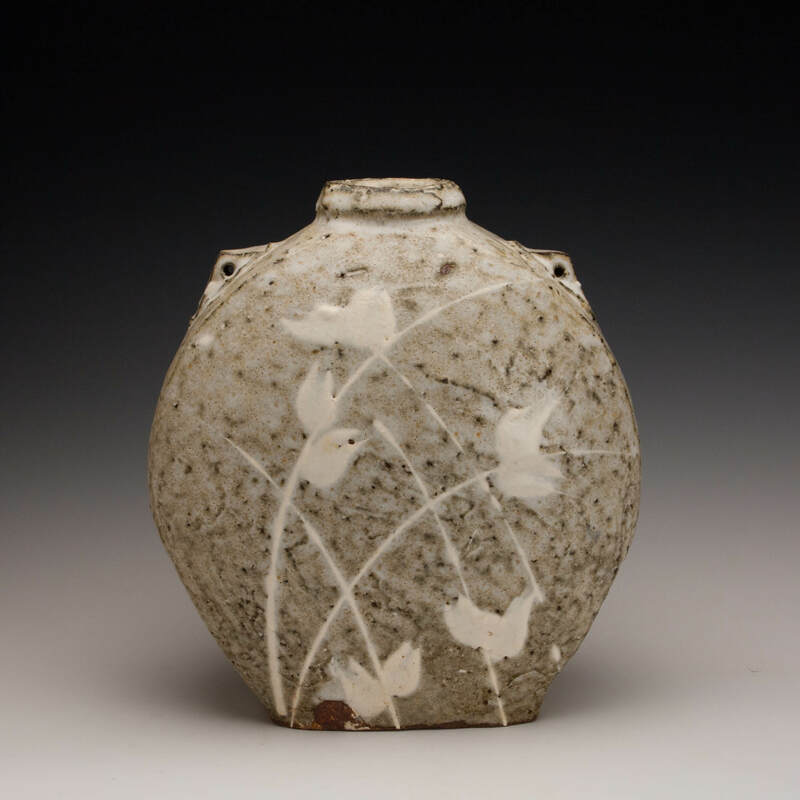 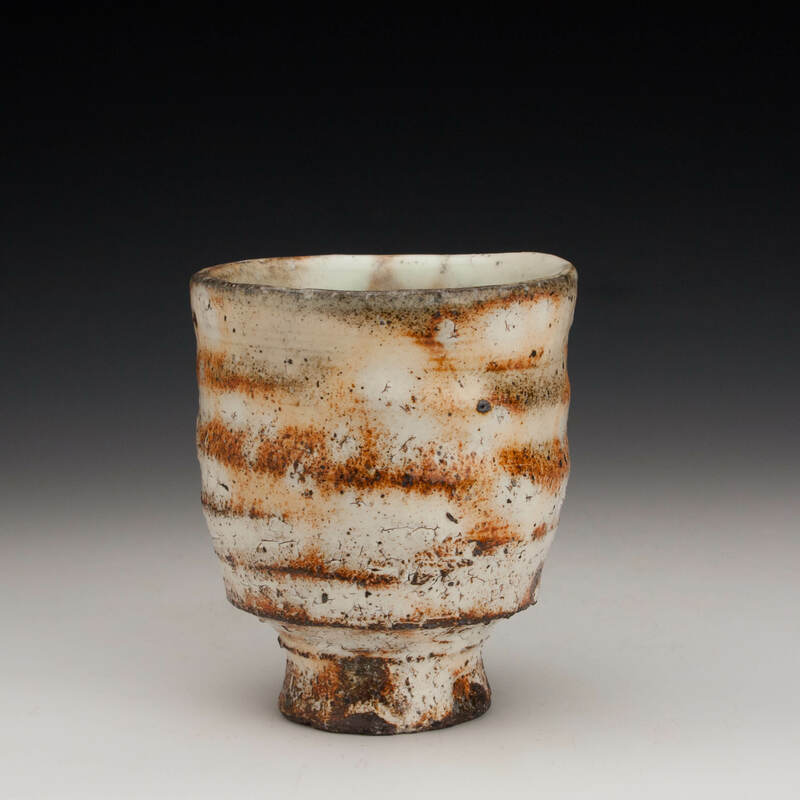 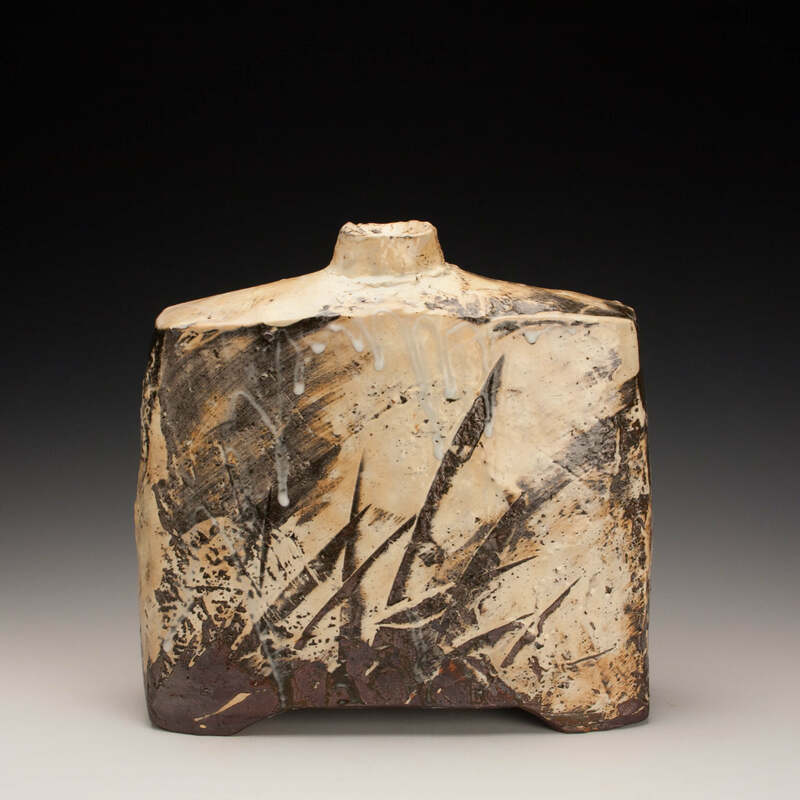 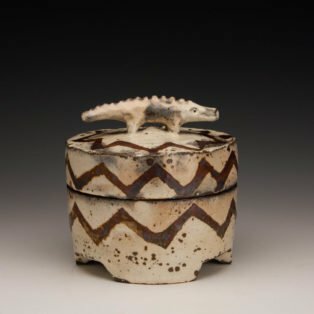 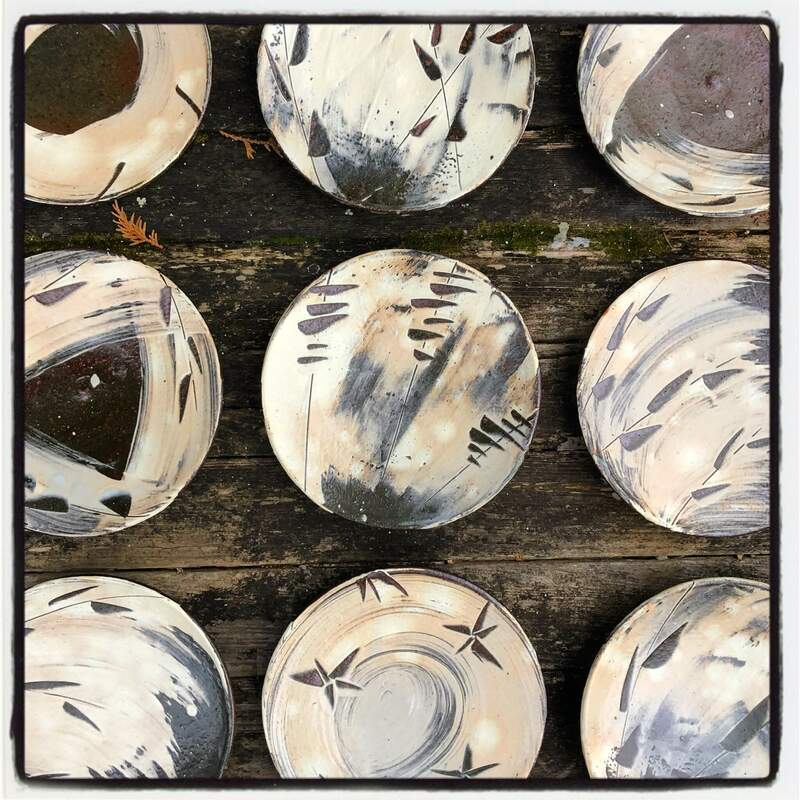 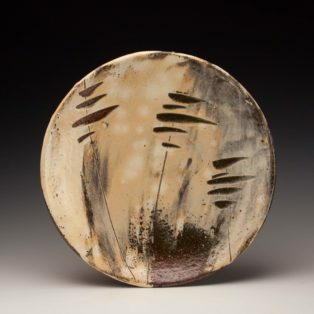 Michael Hunt and Naomi Dalglish collaborate in making wood-fired pottery. 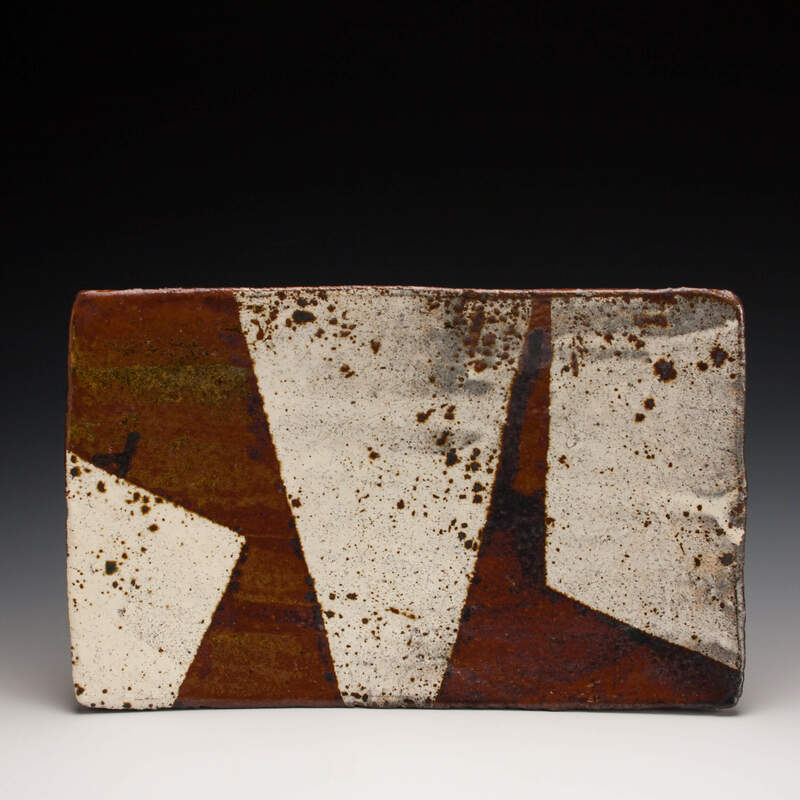 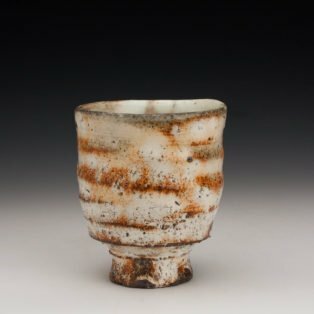 They combine coarse local clays, white slips and ash glazes to make the deeply layered surfaces for which they are known. 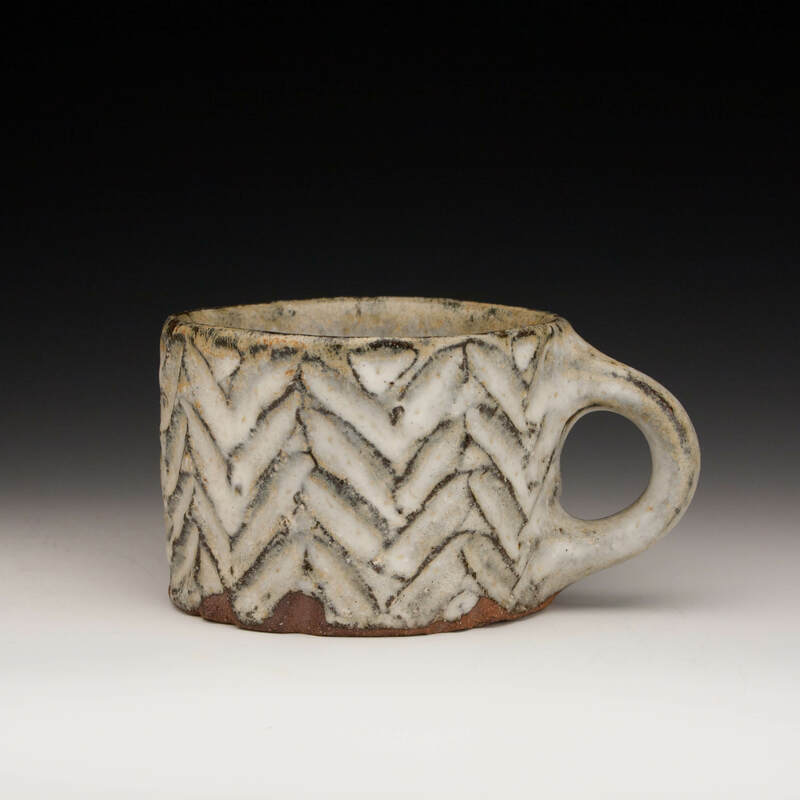 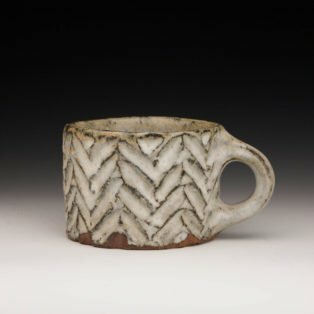 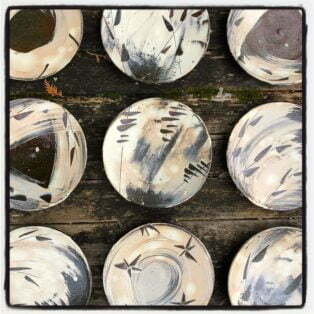 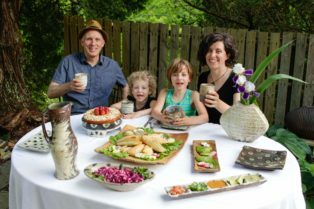 Their studio “Bandana Pottery” is named for the small community where they live outside of Bakersville, North Carolina.